Great Lakes Engineering boasts over 30 years in photo chemical etching and metal etching technology. We work with a wide range of materials, including Stainless Steel, Copper, Brass, and more. Our photochemical machining is far more efficient than other methods such as hard tooling, lowering your costs and increasing your efficiency as well. If you have any questions about our photo chemical machining process, please contact us and we would be happy to assist you as best we can. VACCO Industries uses metal etching processes to create custom metal parts based on customer requirements. 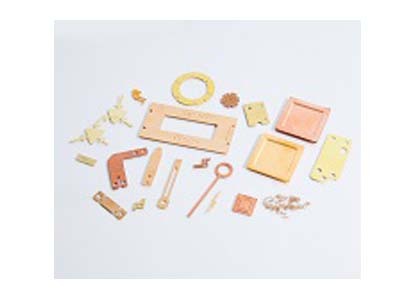 A subsidiary of ESCO Technologies, VACCO products include brass etchings, aluminum etchings and copper etchings, in small or large sizes and in varying quantities. VACCO is a FDA and ISO 9001:2000 registered metal etcher and offers additional in-house capabilities including metal joining. The Indiana Micro Metal Etching process offers many technical & financial advantages in manufacturing so many flat metal components. Try this precision etching, non-mechanical process for competitively priced, burr & stress free sheet metal products, up to 62 mil (.062”) thick. Our photo-chemical machining process is also known as photo-fabrication, photo etching, chemical milling & acid etching. Chemical machining, also known as chemical milling or industrial etching, is a subtractive manufacturing process during chemicals are engaged in order to remove or extract unwanted metal from a metal surface. Chemical machining offers incredible precision, and so it often used with applications that require complexity or intricacy that other methods of machining simply cannot achieve. It can be utilized either as a primary application or as a finishing application after the initial, less complicated machining of a product has been completed. Industries in which chemical machining is used include aerospace, automotive, electronics, semi conductor fabrication, as well as in any industry in which micro components must be etched. Typically, chemical machining is performed in five steps: cleaning, masking, scribing, etching and demasking. The first step, cleaning, is a preparatory step by which contaminants like oil, residue, primer coatings and grease are removed so that the surface material will not have any issues with accuracy or depth during etching. To clean surfaces, manufacturers usually either apply a solvent to them, or they immerse whole parts in de-oxidizing solutions or alkaline cleaners. Next, during masking, manufacturers apply a maskant material to the whole of the surface. When it comes time to etch, any surface area covered in this maskant will not be able to be etched. This is key to accurate etching. In order for them to work properly, it is importantly that they adequately adhere the surface on which they are placed. Maskants are typically applied either via dip masking, during which the part is dipped into an open tank of maskant and then allowed to dry, or flow coating, during which maskant is cascaded over the part. Sometimes, conductive maskant is applied via electrostatic deposition, during which, as electrical charges are applied to it, the maskant is sprayed onto the surface of the material. After masking is scribing. During scribing, those areas that will be etched are rid of the maskant. If this is done during an industrial operation, manufacturers will likely do so with the help of a template or CNC automation. If the scribing is being performed for decorative purposes, on the other hand, manufacturers are more likely to remove the maskant by hand with a scribing knife or etching needle. Second to last is the step of etching. Manufacturers achieve etching not with instruments, but by immersing the piece in a chemical bath. Note that the longer the time a piece spends in a chemical bath, the deeper its etching will be. After etching, a chemically machined part is demasked. This is the process by which both the remaining maskant and the etchant in which the part was just bathed are removed. Typically, this is conducted either simply using cold water or cold water with additives. Sometimes, the part is also put in a deoxidizing bath. Rarely, the chemicals are scraped off by hand. For the best results, manufacturers must select the right chemicals for the job. In general, maskant materials must be adequately chemically inert with adhesion levels around 350 g cm-1. At approximate levels around 350 g cm-1, the maskant is neither too weak to stick to the surface nor too strong to be removed during scribing. The maskant must also be compatible with the material upon which it will be adhered. Usually, maskants are made from in some aspect from isobutylene-isoprene copolymers or neoprene elastomers. 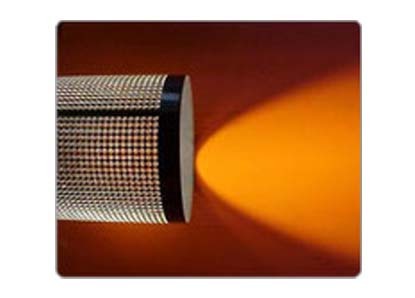 The nature of etchants depends heavily upon the type of material they are etching. Standard steel surfaces, for example, are mostly etched by hydrochloric acids or nitric acids; stainless steel surfaces are usually etched by ferric chloride and mild steels are primarily etched by Nital, which is a mixture of nitric acid and methanol, methylated spirits or ethanol. Aluminum products are mainly etched by Keller’s reagent or sodium hydroxide, while copper may be etched by a variety of chemicals and chemical combinations, including: hydrochloric acid and hydrogen peroxide, ammonia, ammonium persulfate, cupric chloride, ferric chloride and 25% to 50% nitric acid. Chemical machining has been around since the nineteenth century and people have been using organic chemicals and semi-organic chemicals like citric acid, lactic acid and vinegar to etch metals since as early as 400 BC. Over the centuries, operators have learned to perfect the process. It creates products free of imperfections and/or undue metal stress. It is also quick and simple to perform, requiring few tools and minimal labor. To figure out what chemical maskants, etchants and chemical machining tool combinations might be right for you, consult with an experienced and proven leading chemical machining expert. Chemical Machining – VACCO Industries, Inc.